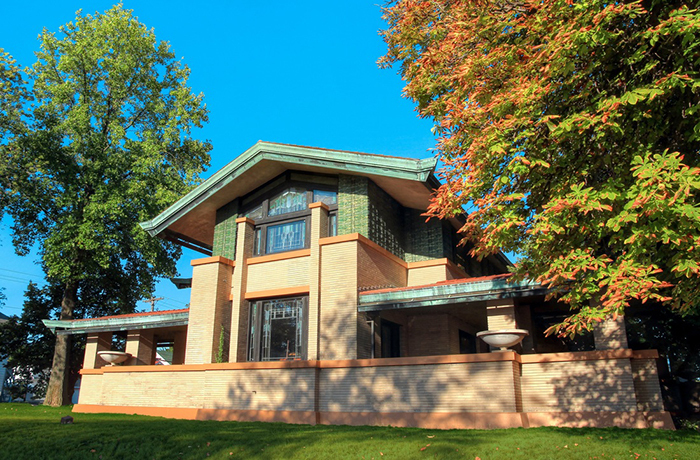 The Dana Thomas House, designed by Frank Lloyd Wright, was constructed in 1905 for Susan Lawrence Dana, a leading figure in Springfield Society. As restored by HPZS the house is one of the largest, most elaborate, and complete of Wright's houses, maintaining most of the original Wright designed furniture and art glass. HPZS was awarded the Distinguished Building Award by AIA Chicago, a National Preservation Honor Award by NHTP, and an Outstanding Achievement Award from the Illinois Capital Development Board for this outstanding preservation project.